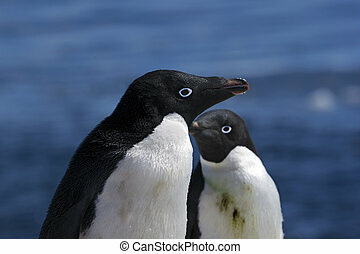 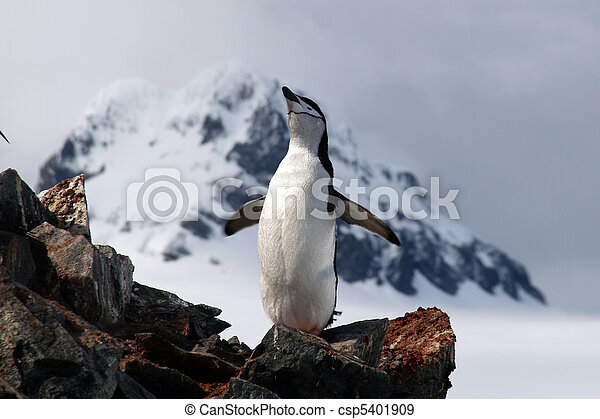 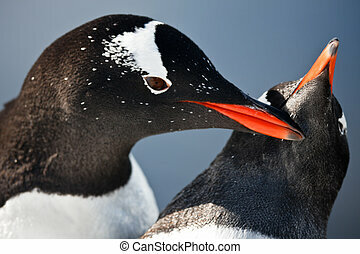 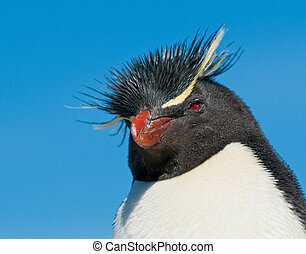 Antarctic penguins. 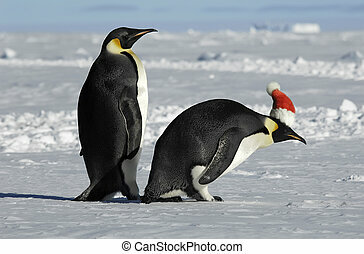 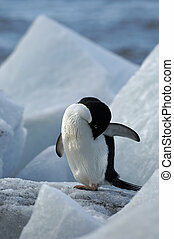 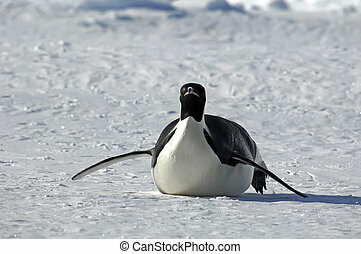 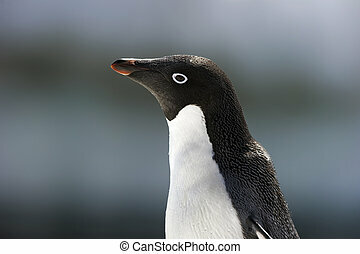 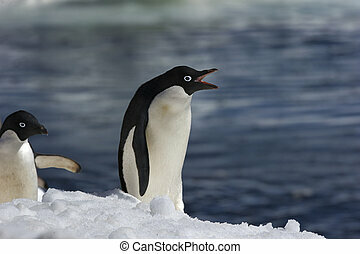 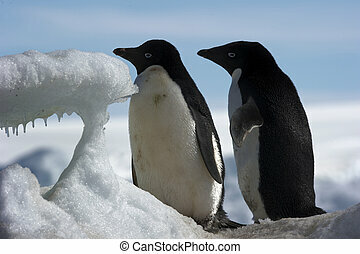 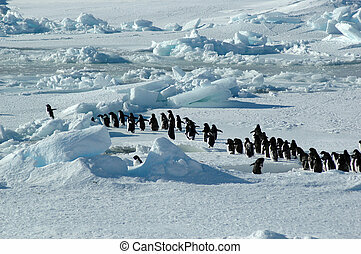 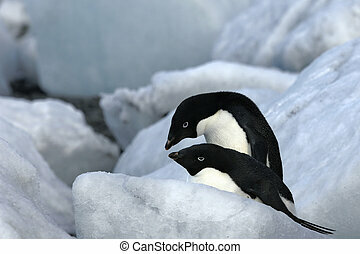 Penguins encountered and photographed at the south pole. 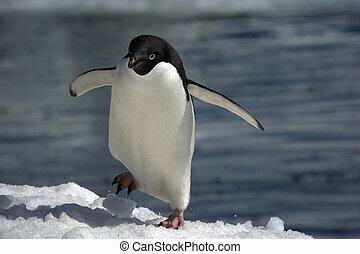 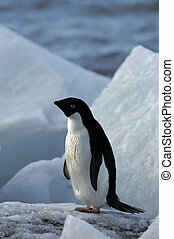 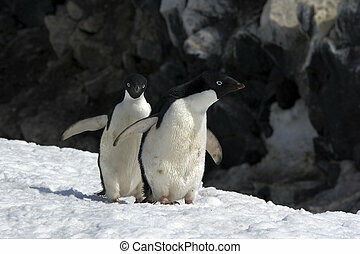 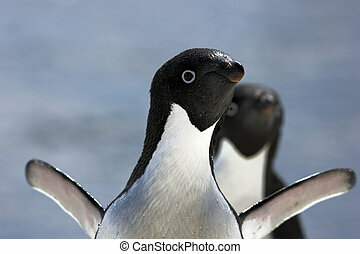 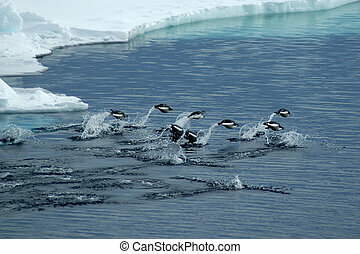 A group of Adelie penguins is jumping over darkblue antarctic waters. 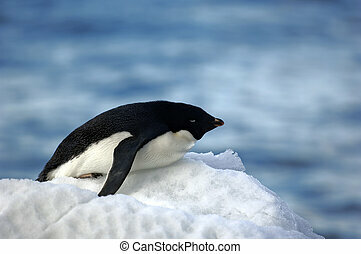 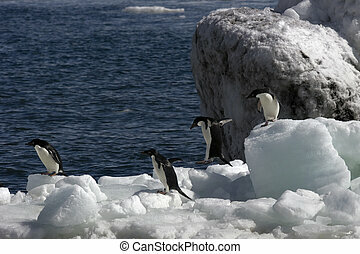 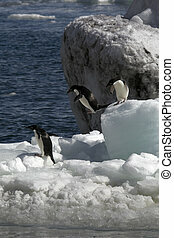 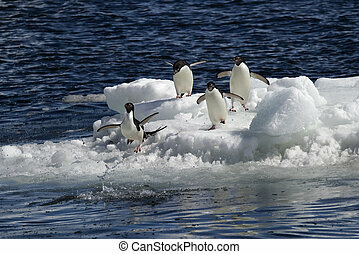 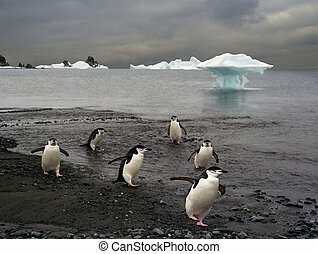 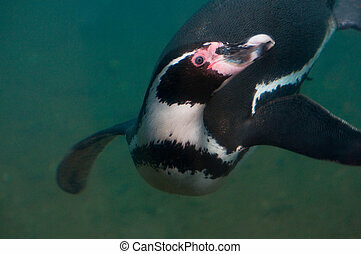 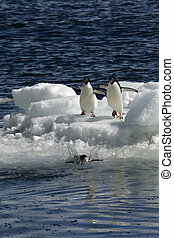 Two of the group are just diving into the splashing water while six penguins are \"flying\". 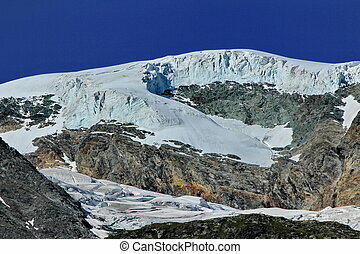 The white sea-ice border is filling the upper part of the picture. 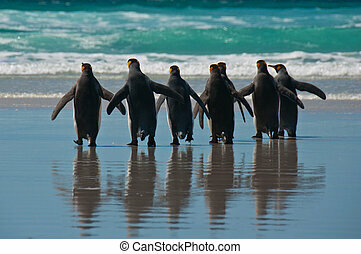 Rear view of seven king penguins entering the ocean at Volunteer Point, Falkland Islands. 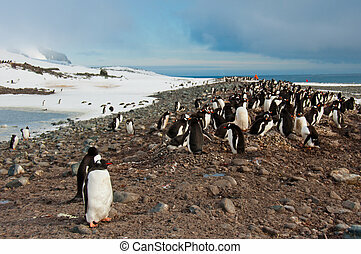 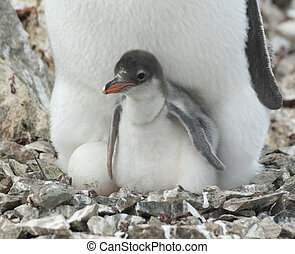 Thousand of penguins raising their chicks on a beach in Antarctica. 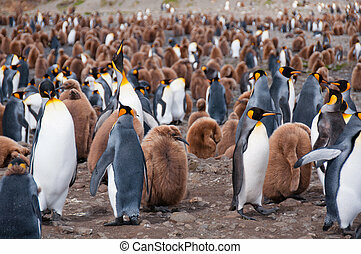 Thousands of king penguins with their newly hatched chicks populate their colony at Fortuna Bay,South Georgia Island. 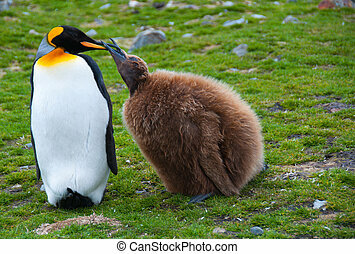 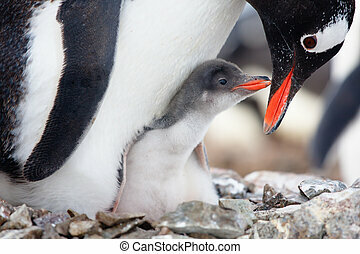 A King Penguin mother feeds her young chick at Fortuna Bay on the sub-Antarctic island of South Georgia.